A solutions based engineering and manufacturing company specialising in fluid power and handling systems for underground mining and tunnelling applications. 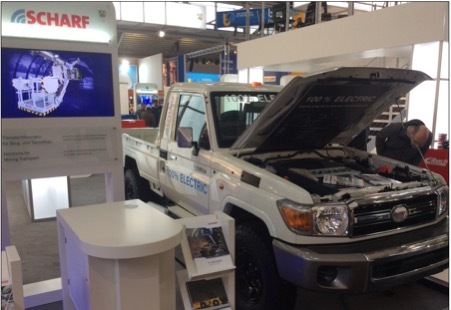 German materials handling manufacturer Scharf have developed a German engineered battery powered all electric Toyota cruiser ute. Launched at the BAUMA trade fair in Munich this month the vehicle has been earmarked for sale to the Mining Industry globally including Australia.